Lea ist im Herbst mit einer Idee für ihre Masterarbeit, brennenden Fragen im Sinn, einem Forschungsvisum im Pass, ein paar Kontakten in die chinesische Welt der Arbeitssoziologie und viel Knäckebrot für mich im Koffer bei mir in Hangzhou gelandet. In zwei Monaten hat sie den Kontakt zu neun Bekleidungsfabriken in Hangzhou und Guangzhou aufgebaut, sie besucht, beschrieben, Mitarbeiter und Besitzer interviewt. Ich habe mein Bestes getan, sie über ihren mutigen Sprung ins chinesische Feld auszufragen, nur war das Thema ihrer Arbeit leider ablenkend interessant. Firoze Manji gave Mapping China an interview on May 4th on the state of China – Africa Relations. Firoze’s book “African Perspectives on China in Africa” is part of our upcoming top book picks on China in Africa. The interview with Firoze is the kick-off of a new series focusing on different resources on Sino-African relations. It will comprise references to academic literature as well as blogs, video-documentaries and much more. The contributions to this series will be posted over the coming weeks. We would like to thank Firoze for the series a truly interesting start! Firoze is a Kenyan-born activist and author who is working on social justice in Africa. He not only has extensive knowledge on Chinese-African relations but also on health, social policy, human rights and political sciences. You can watch the video below or on youtube! 01:10 Why did you become interested in Sino-African relations? 04:20 How is China related to issues of social justice in Africa? 07:15 What was particularly important in editing your books on Sino-African relations? 09:00 What has changed in terms of “African agency” in the relationship with China since your books were published ten years ago? 13:50 How well do African civil society actors understand China? How well do Chinese living in Africa understand Africa? 17:30 Why do we not see much African scholarship on Sino-African relations? 20:15 Where do we have to search to find African voices on the topic? 21:30 Are the Chinese “exporting” an “unfree media model” to Africa? 25:06 In the public discussion of Sino-African relations, “Africa” is often treated as if it was one country, “China” as one monolithic block: What is missed this way? 30:45 Politically, is there such a thing as a “Chinese model” that is being exported to Africa? 34:52 What do you think about the Western claim that China is “exploiting Africa”? The interview was conducted by Julia Tatrai. Mapping China: Since its establishment, MERICS is the largest German think tank focusing exclusively on China. To what extent can experts in area studies truly contribute to practical policy? Bertram Lang: Area study basics, as they are being taught at University, i.e. methods, language proficiency and country expertise are fundamental. MERICS, for instance, has a number of staff members who do not only have area study training but they have also studied other subjects such as political science, economics or law. In other words: Academic training may vary but language skills and country expertise are essential. Area study basics are essential for field trips to China or talks with Chinese partner institutions. Mapping China: MERICS itself obviously is a very attractive institution for internships or job applications of young scholars graduating in Chinese studies. What skills and which knowledge are particularly interesting for MERICS? Bertram Lang: In addition to the basic competences I already mentioned, it is important for MERICS to work with new and creative ideas and to contribute to them. It is extremely important to recognize and identify upcoming trends in China policy and to be able to become acquainted with new China-related topics very quickly. A high degree of flexibility is very important. Another crucial part of our work is to present our research, e.g. at universities or foundations or vis-a-vis the media – which means that one should be able to offer well-informed opinions about a wider range of topics. Mapping China: You were a participant of the first cohort of the European China Talent Program. How important was this for your career development? Bertram Lang: Indeed, I participated in the first European China Talent Program in 2015. At that time, I was in the final year of my MA-program at the College of Europe at Bruges and I had already specialized in EU-China-relations. So, the topical fit was quite high. Personally, meeting and exchanging views on China with young people with varying backgrounds from all over Europe was a great experience. By now, in Germany you can find numerous network initiatives both within and between different universities, such as Mapping China. However, I do not know of any other program which brings together young people from Europe in such a concentrated manner in order to discuss current issues related to China. In addition, the Program offers a number of high-level events for the participants such as a meeting in the German Foreign Office (AA) in Berlin with experienced diplomats from German-Chinese relations. It also encompasses other meetings e.g. with business representatives negotiating investments in renewable energies in China or with enterprises doing business in China. All these events give a broad overview of practical insights from which I benefitted enormously. And last but not least, it was this program that provided me with the opportunity to join MERICS. The program is an excellent opportunity to present yourself. In the “class of 2015” we even created our own publication which can still be downloaded from the MERICS website and in which we presented our own analyses which we drew up over the course of the program. Last year, the program concluded with an event that included presentations by the participants, which were attended by MERICS management. So, the program is, in fact, a perfect opportunity to meet students and young professionals and to present yourself. Only half a year after I had participated in the talent program, I joined MERICS. ECTP is a great opportunity to meet non-sinologists, non-political scientists, e.g. economists or people from the non-profit sector. This kind of networking will also be a focus of this year’s program. Especially the non-profit sector is very thought-provoking as the current situation of organizations and foundations in this sector in China is not easy due to a new law regulation foreign NGOs and charity. Mapping China: The European China Talent Program now exists for three years. Why did MERICS originally initiate it? Bertram Lang: A fundamental consideration was the absence of a truly European format for such networking and exchange among young graduates in Chinese Studies outside of academia. The basic question was: How could young graduates who during their studies had somehow focused on China be brought together while giving them an opportunity to see what their expertise could be used for in professional life? MERICS wants to contribute to improving coordination among EU members concerning their policies towards China. We consider it important to start at an early level by gathering young talents in the hope of creating networks of people who might eventually contribute to shaping European China policies. From my personal experience, I can say that this has worked very well. I am still following the whereabouts and the professional development of my “class”. In this respect, the program really has attained its goals – if such a statement is possible after only two years. Mapping China: Does MERICS keep in touch with the alumni of the program and is it actually possible to maintain the ties between the former participants? Bertram Lang: Among themselves, participants certainly stay in touch, e.g. via informal facebook groups which allow them to maintain their contacts and to exchange information about further events. I would like to set up an official alumni network one day. But we are still in an early stage of the program with the third class starting in April. The alumni are regularly invited to participate in events at MERICS, e.g. for the concluding events of this year’s European China Talent Program. We try to bring the different classes in touch with each other. Mapping China: Is MERICS in some form measuring the output of the program? How does a successful European China Talent program look like? Bertram Lang: One output of the program is certainly the publication of 2015 or the successful evening event in 2016. Many regular MERICS events are attended by a somewhat more established audience. But the event last year directly targeted students and young professionals, which was met with strong demand. We do of course collect feedback at the end of each program, which so far has been very positive. This is also a goal of the program: The participants are supposed to have fun while gaining interesting insights at the same time. 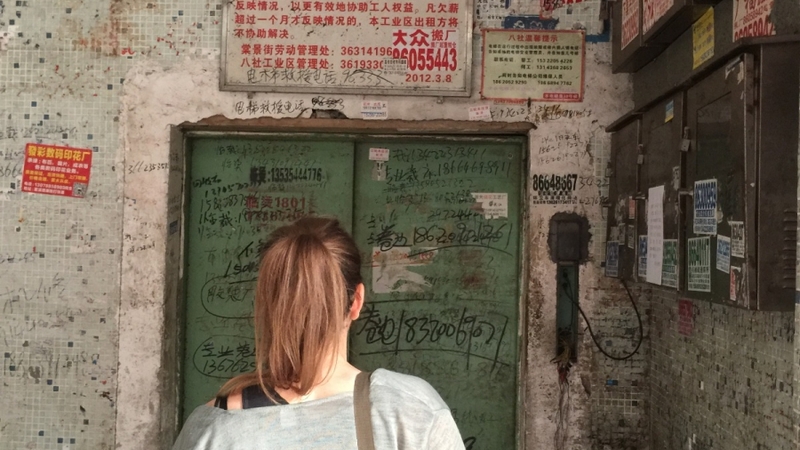 Mapping China: The program is emphasizing its interdisciplinary approach. In the last two years, participants came from various academic backgrounds. Which strengths and weaknesses to you see in this approach? Bertram Lang: Honestly, I have a hard time seeing a weakness in this approach. The whole point of the program is to bring people with different backgrounds together. It is not supposed to be a specialized event – neither in terms of academic disciplines nor in terms of topics. Participants are invited to gain some insights into fields in which they have no prior experience. The idea is: Who so far has primarily dealt with Chinese environmental policies should, in the program, not only deal with environmental issues but get to know a range of topics currently discussed in Berlin and at MERICS. From my experience, it is an enormous asset if participants come with different specializations and foci – even if they have so far dealt with economics or culture rather than with politics. In the last years, young professionals from the China departments of European businesses also participated in the program. Exchanging views with them was highly appreciated by students. Mapping China: Which issues are currently of particular importance for EU-China-relations? Which ones do you see as emerging issues in the next five to ten years? Bertram Lang: When talking about EU-China relations, the issue of Chinese investment in Europe has gained a lot of attention in the past two years. MERICS just published a new study that analyses how Chinese investments in Europe are developing. The question of how European actors and businesses can operate in China is also always of great relevance. EU actors have sometimes very different expectations concerning market access and creative freedoms. This is also highly relevant for foundations and other actors. I personally work on societal issues: For instance, how can exchange programs between European and Chinese actors be designed in education but also e.g. in journalism? This is a very important topic that not always gets the attention it deserves. Economic relations are at the heart of the interests of European governments, but when there are diplomatic or economic conflicts informal contacts are of primary importance. These informal contacts can only be built, maintained, and be made resilient by society-level exchanges. In this regard, the developments in China over the last three to four years are rather troubling because the establishing of such symmetric ties has become rather more difficult. That applies even more to European societal actors who want to work on the ground in China. Nevertheless, trade and investment will remain highly important topics in the coming years – no matter whether the economic development in China goes in a positive or negative direction. At the same time, China plays an ever more important role in the security field. For four years, China has been promoting the “Belt and Road Initiative”. With this “new silk road”, China directly addresses Europe and its neighbourhood in terms of infrastructure measures but also in terms of societal cooperation. The Chinese idea is a win-win-cooperation. Germany and Europe will have to find diplomatic answers to this initiative. This is true not only for the Belt and Road Initiative but also for the development field where China, and not Western countries, is very actively setting the agenda nowadays. Europe will have to find constructive answers to this while not neglecting the priorities in relations with China and other countries. New forms of cooperation with China in third-party countries will thus become prominent in EU-China relations in the next five to ten years. Mapping China: A significant topic in the debate is the absence of a coherent European China policy. How do you see the prospects for this given the recent surge of nationalism in Europe? Bertram Lang: A common, coherent European foreign policy is, of course, an ideal of convinced Europeans. But this is extremely difficult to implement – not only vis-a-vis China. Without insinuating any kind of bad intentions, the relations between European countries and China often show how easy it is to divide European interests if short-term national economic interests are involved. Is it beneficial for long-term economic interests and welfare in Europe when European heads of states conclude separate deals with China? This is currently the reality on the ground, which makes a common policy rather difficult. On the other hand, many competencies in trade and investment have already been delegated to the European level and the EU maintains a high level of China expertise. In these fields, a common European policy already exists. A lot of issues are being dealt with directly between the EU and China such as e.g. Chinese investments in central and south-eastern EU member states. These investments adhere to European rules. However, it remains to be seen in which direction the EU will develop or regress in the coming years. Mapping China: How is MERICS integrated in the landscape of European institutions and foundations dealing with research on China? Bertram Lang: MERICS is a member of the European Think Tank Network on China, a cluster of institutions which predominantly work in the field of international relations to China such as the network’s founding institutes Ifri (the French Institute of International Relations) and Elcano Royal Institute of Spain. The idea here is also to better integrate intellectual work in the member states in different, China-related fields. The cooperation allows us to better understand what national governments are currently concerned with in their China policies. The network just published a new report in December. My colleague Jan Gaspers and myself contributed an article on the significance of the Belt and Road initiative for Germany and on how Chinese proposals have been met with in Germany. All participating institutions contributed the respective national perspectives on the topic. On a more practical level, MERICS also directly engages with European diplomats working on China. This also includes think tanks and diplomats from different countries. Mapping China: After the end of the Cold War, Francis Fukuyama talked about “the end of history”. However, at universities, students often have the impression that since the 2000s there is again an intensifying debate about models of appropriate national and international order. China is in the process of building a number of international institutions that seem to challenge the international system as shaped by the West. Does MERICS see this as a challenge and if so, how do you deal with it? How does Europe deal with this challenge? Bertram Lang: In Europe, there are very different opinions about this question. On the level of the EU, the idea of the EU as a “normative power” is widely shared. Unfortunately, the last years were marked by a continuing crisis and internal conflicts threatening to limit Europe’s ability to act. The issue of how to react to China building new international institutions should maybe be tackled case-by-case. Simply blocking alternatives, in my view, is not a meaningful approach. Instead, one should approach Chinese initiatives constructively and try to help shape such institutions. Take, for example, the Asian Infrastructure and Investment Bank (AIIB) China initiated in 2015: According to everything we know so far, the AIIB is a good example for an institution in which China certainly demands more influence but also subsequently tries to find common rules – and conforms to these rules itself. In the field of development there are various opportunities for cooperation as well. Wherever they exist, they should be used for a constructive dialogue. Mapping China: Thank you, Mr. Lang, for this very interesting conversation. Das Interview wurde von Julia Tatrai geführt und transkribiert. Further information on applying for the European China Talent Program can be found here. Deadline: 7th February 2017!